Enjoy up to RM6 discount ride! Available for : TnG eWallet payment method only. Promo Value : RM3 off x 2 rides per account. Valid from : 8 - 30 April 2019. Valid for : Any type of EzCab ride. Limited to : First 10,000 redemption's only. 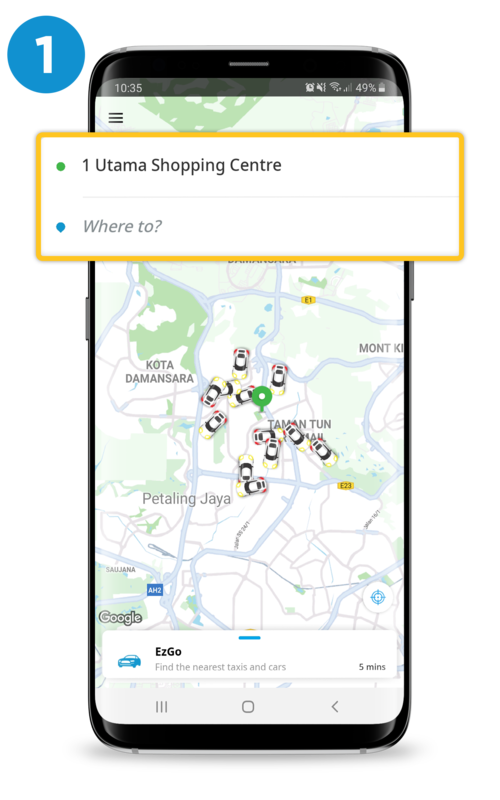 Valid Service Area : Pick up/drop off within Peninsular Malaysia. Key-in your PICK-UP and DROP-OFF location. Key in the PROMO CODE at the promo code column. Click BOOK to confirm your ride. This promotion is valid on 8 - 30 April 2019 only. 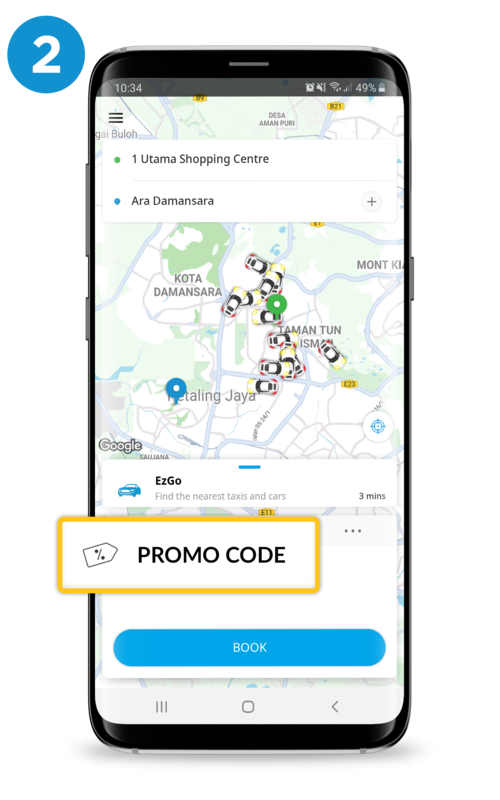 This promo code is limited to 2 times redemption per user, limited only to first 10,000 redemption's for all type of EzCab ride for this campaign period. Promo code must be keyed into the app before booking. This promo code only valid for ride within Peninsular Malaysia. This promotion is valid with TNG eWallet payment method only. Promo discount will be deducted from the fare shown at the end of the ride. The promotion discount is only successfully redeemed once passenger on board with EzCab. Promo Code is not applicable for Advance booking and Street Hailing. All bookings must be made via EzCab App. Promo code is not exchangeable for cash or to be combined with any other offers, promotions or discounts. Service is rendered on best efforts basis. The Campaign will run from 8 - 30 April 2019. The Organizer reserves the sole and absolute right to alter or end the Campaign at any time prior to the expiry of the Campaign Period without giving any prior notice and no compensation in cash or in kind shall be given. 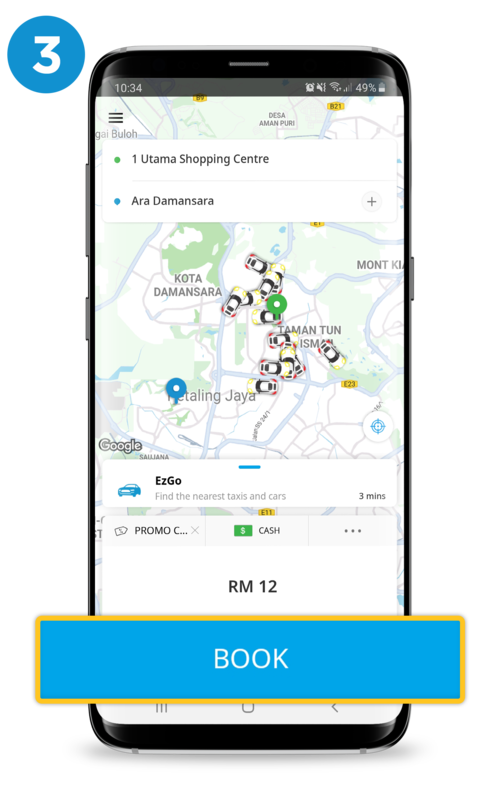 EzCab Sdn Bhd (company no. 197870-T) reserves the sole and absolute right to withdraw, amend and/or alter any part of the whole terms and conditions in relation to this Campaign at any time without giving any prior notice to the Customers and the Customers agree to be bound by those changes. EzCab’s decisions in any matter in relations to the Campaign shall be final and conclusive. EzCab shall not be liable for any claims by the Customers or third-party claims or loses of any nature, including but not limited to, loss of profits, punitive, indirect, special, incidental, or consequential damages or for other damages and any related claims of any nature, including direct, indirect, third-part, consequential or other damages resulting from or in connection with this Campaign. For further enquiries, please email to enquiry@ezcab.com.my or pm us at Facebook.com/ezcabmalaysia. 1. How much passenger need to pay for his ride to Mid Valley? Only RM 5 to Mid Valley using TNG eWallet payment method only. 2. If the transaction for TNG eWallet payment failed, can passenger pay RM5 by Cash? Cannot, he need to pay full fixed fare as stated in EzCab apps. 3. If the transaction for TNG eWallet payment failed, because of the driver don’t want to scan passenger TNG eWallet & request to give him by Cash, How? Please provide Order ID & email to our support team at support@ezcab.com.my OR made a call to our call centre at 603-6259 1913. We will investigate the driver for further information.